Product: Mashers Clear Plastic Disposable Carry Out Food Containers with Lids, Pack of 5 was added to cart. 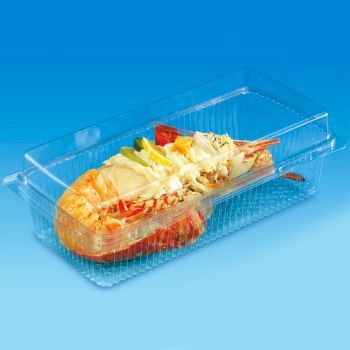 If you are looking for great value disposable food containers for your self-service buffet, deli counter, or take-away restaurant, look no further than these Rectangular Clear Plastic Carry Out Food Containers with Lids by Mashers. Lightweight, hygienic, and supplied in packs of 5 and wholesale cases of 200, these multipurpose disposable food containers are perfect for displaying cakes, gourmet sandwiches, pasta salad creations, and traditional carry-out fare such as curries, rice dishes, and noodles.